Tidying really is magical. I believe it! 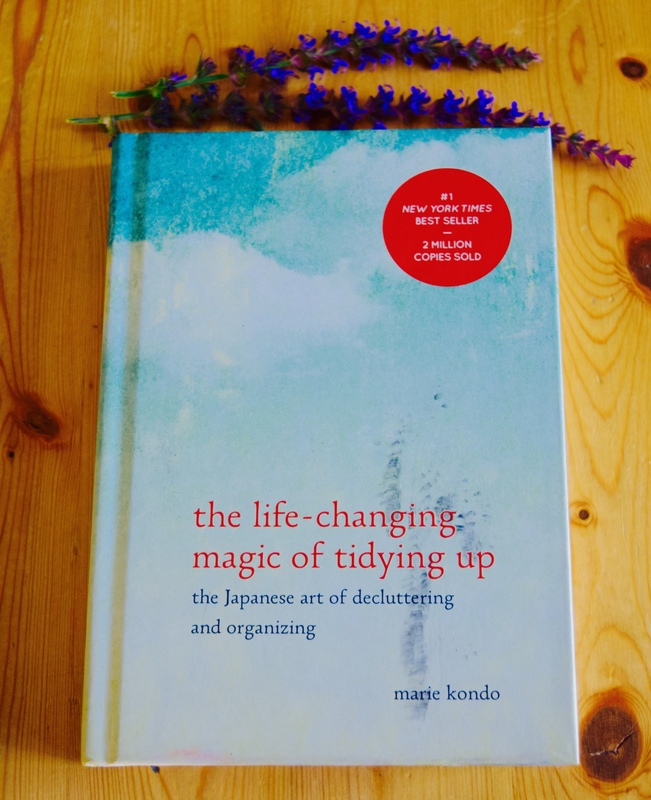 While I was in Edmonton I picked up this book from my very favourite book store Chapters, titled “The Life Changing Magic of Tidying Up”. I LOVE IT. I love it so much I wanted to write about it and review it for you. I will share with you the highlights and hopefully inspire you to tidy your surroundings so you can create a tidy mind and change your life. I have always been a very tidy person. But like Marie Kondo says, we are not taught how to tidy. We generally copy what our parents do and use our own common sense to make things look tidy and organised. I have found from reading this very funny and practical book that their are much better ways to keep our personal environments clean, tidy and clutter free. Kondo is clearly OCD about tidying. She was obsessed as a child to tidy every space she came across, from her own bedroom to her siblings rooms and the whole house, to her classroom at school. Order, and system and eliminating unnecessary clutter was her priority. She loved to throw things away, and she felt so much better once her space was clean and clutter free, she referred this feeling to being meditative. As she tidied, she was in flow, she felt great, and once the job was done, she felt accomplished and satisfied. She talks about clothes and her things having energy. We are instructed to touch every item of clothing, or item, and deem whether this item communicates love and joy or not. Such an interesting way of looking at our things, and so true. Like so many things in life, our stuff loses its energy and can zap our surroundings of this energy. There is so much power in discarding and clearing our living spaces. To create opportunities, new life and new possibilities we need to get rid of our excesses, these unnecessary material items are holding us back from living our best lives. When our life and surroundings are in order and tidy, we can move forward and make changes with new clarity and a lighter perspective. We can then take the bigger steps towards progress and accomplishment to create a life we dream about. I can relate to this book in so many ways. I understand the concepts of clearing space and energy, and I love the refreshed feeling you can obtain from ‘clearing out the crap’ from our lives. It really reminds me how we allow our material possessions to bog us down and hold us back, if not physically then energetically. Clutter, chaos and disorganisation are not the platforms for change and progress. Structure, tidy spaces, order and alignment, and minimal living spaces are all conducive to positive change, harmony and high energy living. 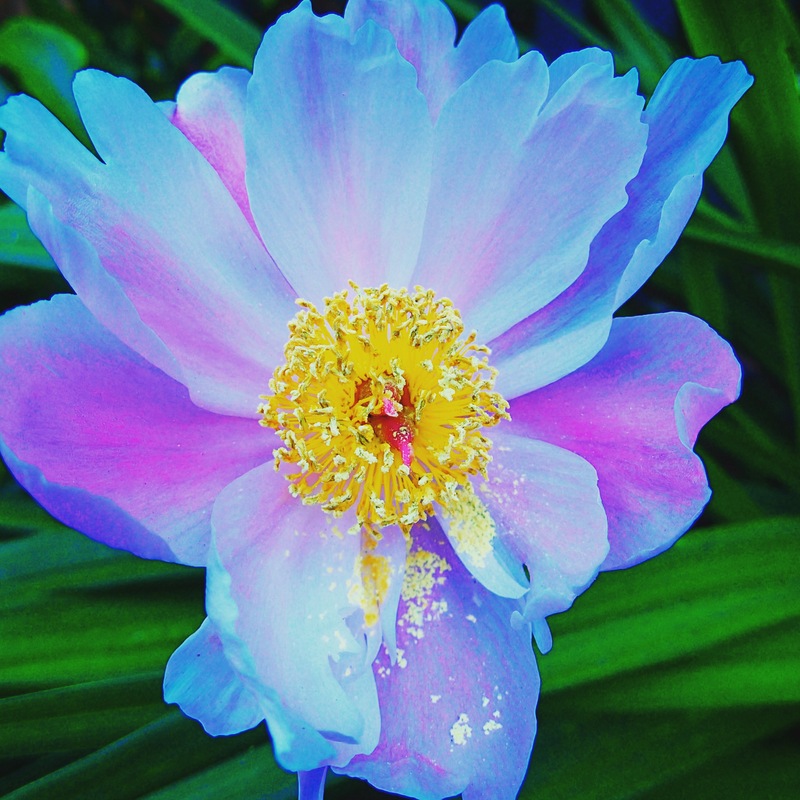 A fresh flower, loaded with energy! An inspiration for tidying! I write this as I travel, and I have already made a mental note of all the things I plan to discard of once I am home. I am excited to de-clutter, discard and free myself from the energetic heaviness of unused items that waste space and energy. Thanks to Marie Kondo for writing this great book, you are an inspiration, a leader for change and I love your witty funny and pedantic personality. I can only imagine the level of organisation your house must look like! If only to be a fly on the wall! For now I will just have to think about discarding a few things from my suitcase, I can already think of 3 things, yes! Do yourself a favour, and go buy this book! The Life Changing Magic of Tidying Up. If you have read anything awesome lately please let me know in my comments below. Or tell me what your tidy dilemmas are? Haha! I think you might have clutter issues still!! According to Kondo… from what I learned too. Its all about the hidden spaces too. You need to clear out those things too. Its such a great book. She is so OCD and I LOVE HER!!! but wow she must be hard to live with right!? Then again she might just tidy everything up for you! You can do it yourself!! It will mean more if you get rid of the stuff yourself. I also love the way she stands up her socks!? Who would have thought eh? I have the potato balls! 🙂 You will know what i mean when you read the book! Now go clear out those cupboards! Re-arranging furniture also clears energy i find. Try that! 🙂 I think i could become a de-clutter expert too. I would love that job. Like life coaching, its easy to see other peoples problems and things objectively. We are all too attached emotionally to our things. A new perspective can rationalise that for us I think. Where do you live? haha! That was a picture but i dont know if it worked?? It was a picture of shoes! I just saw on your blog you like shoes 😉 I am following you! I think you’d make a great Pro Declutterer 😉 You make some great points. I’m already motivated. The “potato balls have me intrigued. My book arrives tomorrow apparently. Yay! Damn! If you were in perth perhaps i could have helped!? Haha! I love decluttering but i do think you need a fresh set of eyes on all that stuff!! Tidy is different from decluttered. Very different. Yes, I need to shift into FULL declutter mode, not just tidying.